Over the years, Great Britain has produced a number of standout Winter Olympians, from the perfect figure skating displays of Torvill & Dean to the record-breaking exploits of Lizzy Yarnold MBE – and of course, the plucky underdog spirit of Eddie “The Eagle” Edwards. Graham Bell is another hero of British winter sports. One of the finest downhill skiers the UK has ever produced, he has claimed the title of Ski Champion of Britain on eight occasions during his illustrious career. Graham competed for Team GB throughout the 1980s and 1990s, taking a silver medal at the World Junior Ski Championships in 1984 and representing Great Britain at five Winter Olympics – Sarajevo 1984, Calgary 1988, Albertville 1992, Lillehammer 1994 and Nagano 1998. He also achieved 12th place in the infamous Hahnenkamm Race in Kitzbühel, Austria. After retiring as a professional ski racer in 1998, Graham started his television career at Eurosport, commentating live on the World Cup Ski Circuit for two years, before moving over to an in-vision role on Ski Sunday. 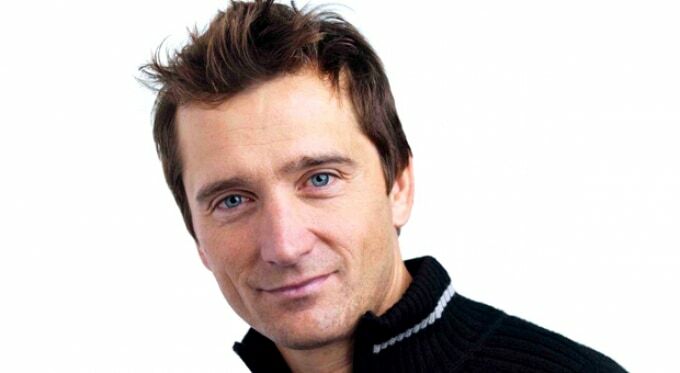 Graham was part of the Ski Sunday team which won a Royal Television Society award in 2002, and he has presented and commentated on the 2002, 2006, 2010 Winter Olympics and 2014 Winter Olympics. He was also the Performance Director of Channel 4’s popular show The Jump, teaching celebrities various disciplines in the Winter Olympics. Graham’s boundless enthusiasm, knowledge and experience has seen him appear on a range of great programming and providing coverage of high profile sporting events all over the world. To book Graham Bell for your next private event, corporate event or conference, contact Champions Olympic Speakers via our online form or call us on +44 1509 85 29 27.